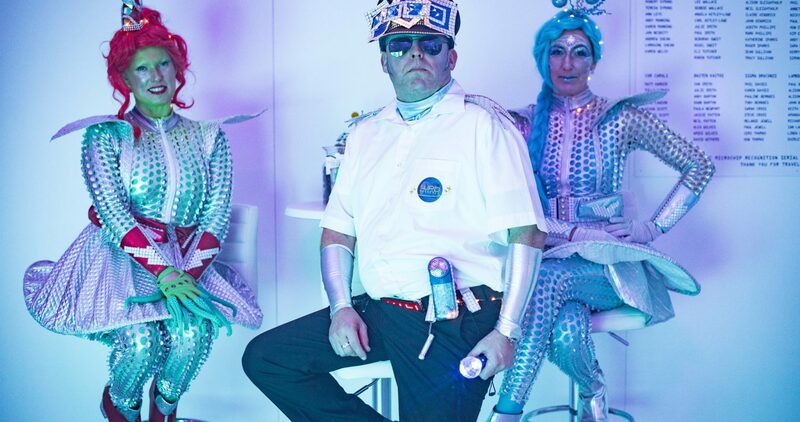 We were commissioned by Alistair Currie Events to take an annual corporate Christmas Party and blast it into outer space, our response was to ‘make it so’. Our wonderful workshop created a spaceship that even Scotty would be proud of. Our Captain Smirk and his crew took the guests to a drive that warped their minds and left them beaming. We created six fictional characters that entertained the guests from their arrival, throughout dinner, and until they were gyrating to the best hits from around the galaxy. Creatively costumed creatures from other planets greeted guests aboard the international space station, while our hilarious interstellar Security Guard put them through their paces (and the X-ray machine). 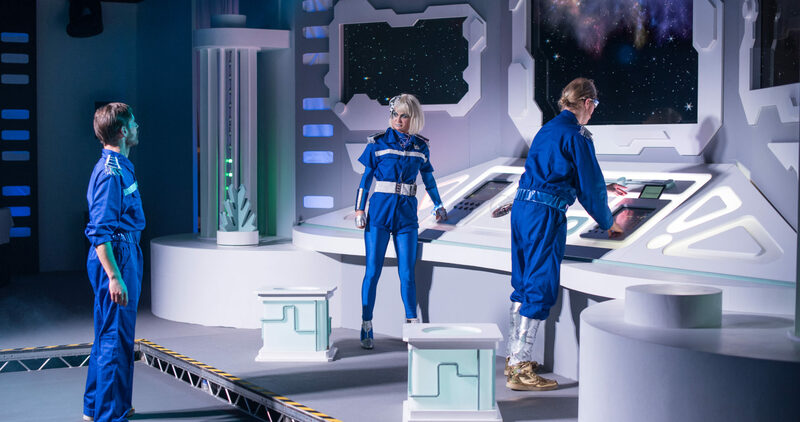 The guests boarded the ‘spaceship’ and were entertained throughout dinner by a fully scripted and rehearsed stage show, with high drama and strong links to every sci-fi film ever made! The destination? Planet X Mas, which was successfully reached at around midnight thanks to the help of the extremely entertained crew. “Thank you so much for Friday’s performance we were so happy with how everything looked. It was wonderful to see it appear just as we’d wanted it to, the end result was just amazing! ” Alice Peacock, Alastair Currie Events.